There are a number of hearing tests to determine hearing impairment. These tests depend on the age of individual and other factors, and the right one will be determined by a professional audiologist. Josh Foundation provides hearing test and assessment to evaluate hearing impairment in children. 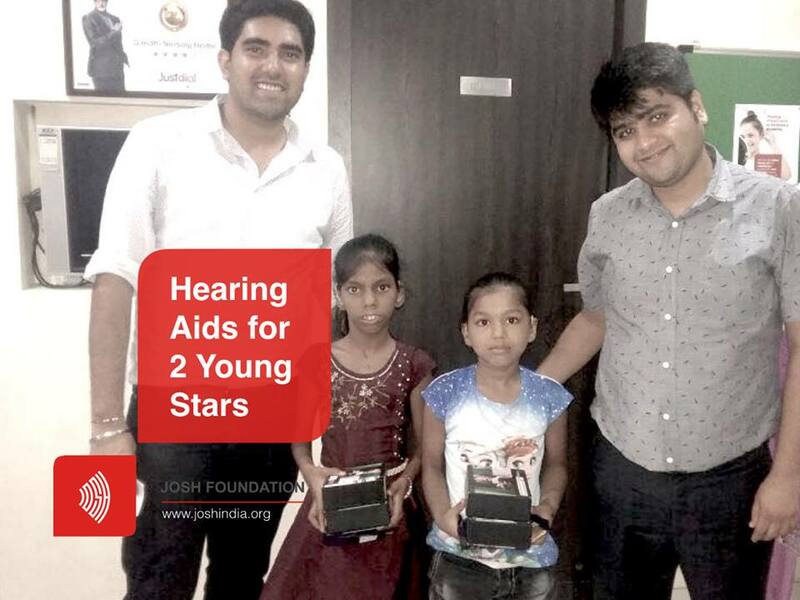 Josh Foundation gifted hearing aids to two more children on 9th August. We are thankful to all our supporters and well wishers who give us strength in this journey.